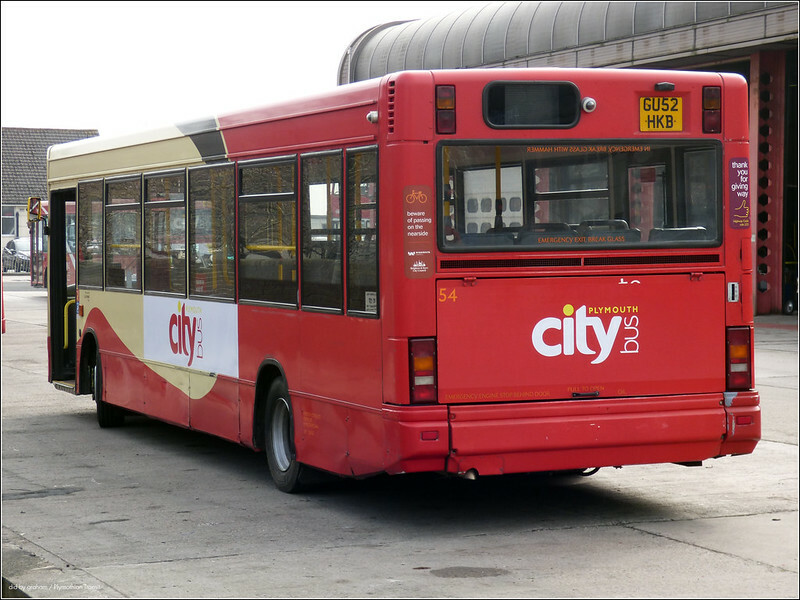 The original plan of simply swapping the front panels on the Brighton Darts has been abandoned and instead they have received full sized Plymouth Citybus names front back and sides. Fleet numbers have now been added so we now know they are 53 GU52HKA and 54 GU53HKB neatly fitting in the gap in the middle of the home grown Dart fleet. 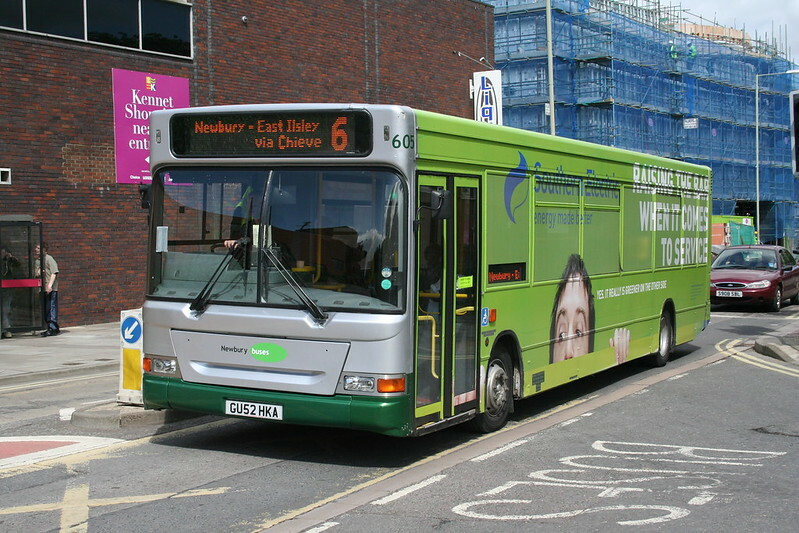 Finally for now we have GU52HKA when still with Newbury Buses (Reading Transport). 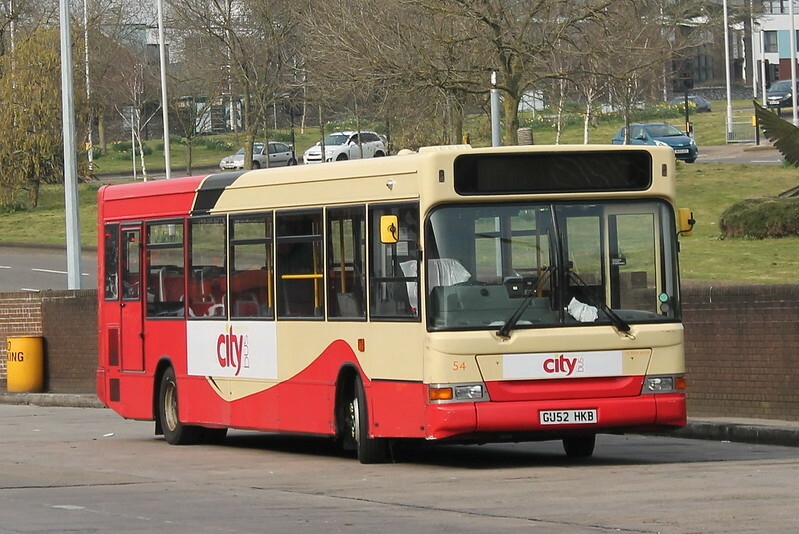 This is now 53 in the Plymouth Citybus fleet. 54 at least was out and about in Plymouth on the 14 yesterday. 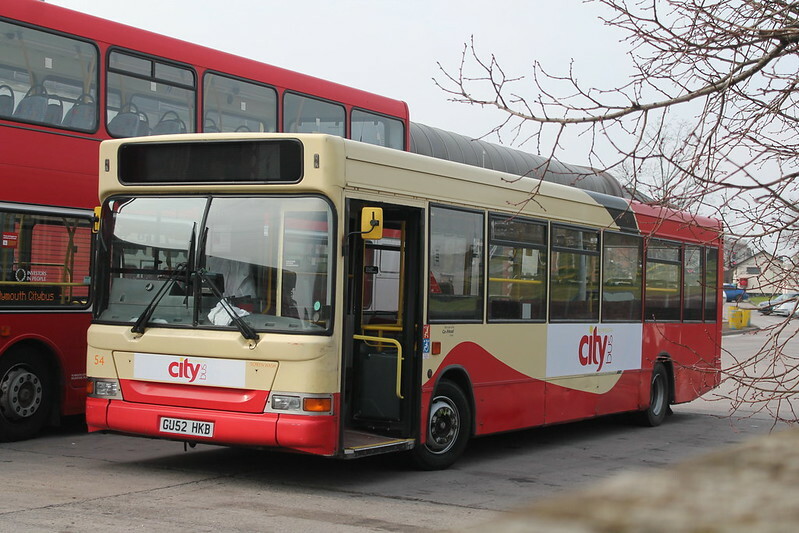 There is some debate as to whether these are now permanent members of the Citybus fleet, as Brighton have them down as being on loan to Plymouth. They certainly will be here for quite a while. Being the last two Darts in the Brighton fleet I would be surprised if they return there but lets just wait and see! 53, GU52HKA is on 8/23's today (Wednesday 18th). I had bus 54 on the 75 today. Drives really well. Tidy inside, good heating, comfy cab seat, just the usual Dart cab window rattles letting it down. Be quite pleased to get it again tomorrow. Quite a few of the Jackett's fleet including ex Citybus L119YOD appear to be dumped in a pound at the bottom of Ernesettle Lane in Plymouth, opposite the Vispring factory. Some are looking a little sorry for themselves...!